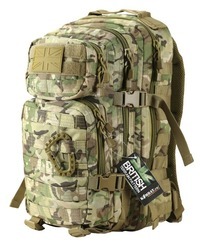 Ideal as a day pack, this 28 litre daysack is made from 1000 denier nylon so sturdy enough for use in the field. Large main compartment and two further zip closure compartments to organize your gear and keep everything easily accessible. Then another smaller compartment with mesh pockets, and another two smaller again zip closure compartments at the front. 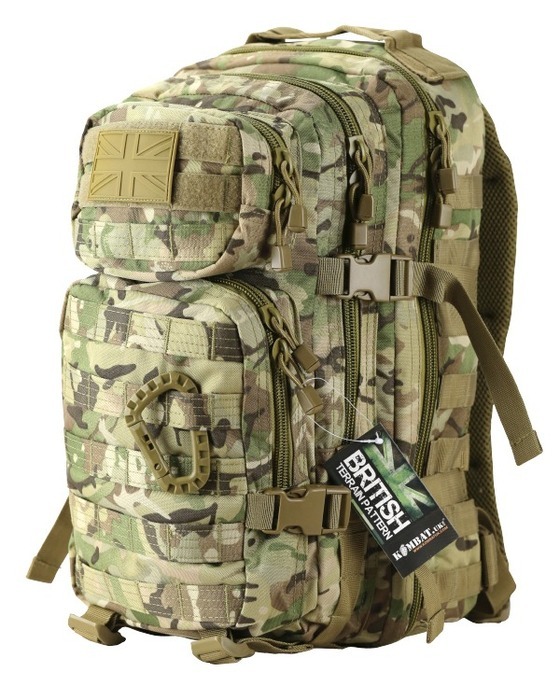 Additional MOLLE loops to the front and sides of the pack, to which issue Osprey MTP pouches could be added to increase capacity if desired. Padded shoulder straps, detachable hip belt. Overall capacity - 28 Litres. New condition, extremely practical sized bag at a sensible price!